When you’re handling a business, it’s very important to know what costs and expenses have happened in the duration of the time period in which you’ve garnered sales or products. Without a proper spreadsheet in which you can see the changes and performance of your business or company, then it will become very difficult to adjust to the different market styles of the economy. Now with our free business budget template, you won’t have that said problem any longer. With this free business budget template, you’ll have a very organized set of documents in which you can track how well your business is doing over time, based on the budget costs and expenses and sales that you have. 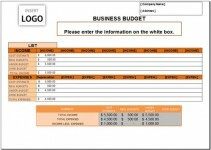 The business budget template has many components that allow it to be a very useful document or form when it comes to keeping track of your performance as business people or company holders. In the style itself, there’s a small section on top of the template in which you can place in the name of the company and the address, which is very practical, because any important person needs to know where to go to if they have any further inquiries or questions regarding the report. You can even add in your own company logo, if you wish. Below that logo is a medium-sized box where the information will be placed. 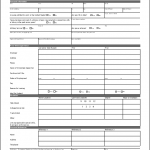 This type of box is very important because it offers a description of what the entire document is all about, such as the time period of the form and what the expenses are expected to be. At the bottom half of the business budget template is the list of your income and your expenses, which is very vital, because this is where the entire focus of the document should be, The table has basically been split into two parts: the income and the expenses. Below the column for the income is the categories for the cost estimate, real budgets, under budget, over budget, and total income and the total digit of the income for those categories. The same goes as well for the expenses, except it has a column meant for the depreciation. With this style, you’ll be able to clearly see the increasing or decreasing numbers relating to those said categories. And it can be very helpful when it comes to trying to improve your business style or the approach of your very own company. Below the table is a box meant for the summary of what the table represents. The summary shows the total income, total expenses and income less expenses. It also has the details for the cost estimate, real budgets, under budgets and over budgets. 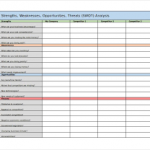 With this template, you will be able to actively know and understand the money-making business of your company. There is also a second sheet available, which shows the details regarding the input income expenses.